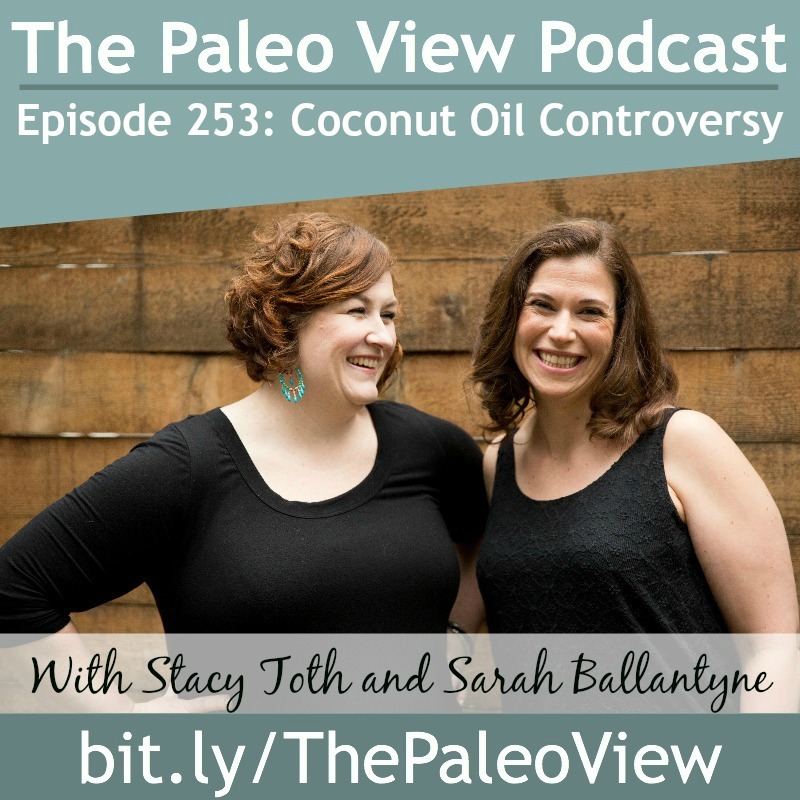 In this episode, Stacy and Sarah talk about recent news items that say that coconut oil is as “bad” as animal fats. Plus! 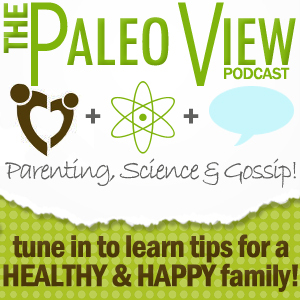 The Paleo View Live is coming to the DC area! Inserted announcement! 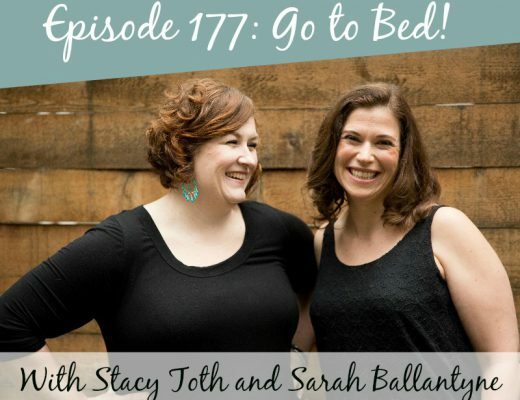 Come see Stacy and Sarah do the Paleo View LIVE! Ask questions, hang out, have fun!!! Real stress still in our lives as Stacy moves and Sarah finishes her book! Check out Paleo Principles for Sarah’s epic meal plans! 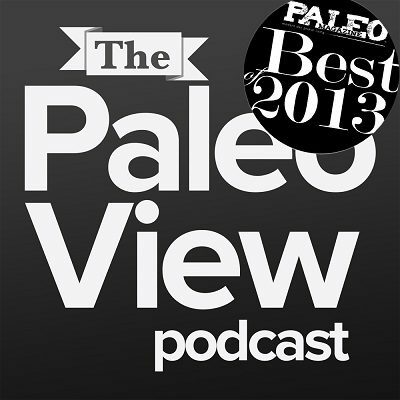 CONTROVERSY IN PALEO!? Coconut oil isn’t heart healthy?! A news story has swept through the paleo community saying that perhaps coconut oil isn’t healthy to eat. See news stories like here. This is based on a report from the American Heart Association, which is always changing its ideas on fats. First off, this study says nothing about topical use, and we put it on everything! Coconut oil is a unique plant fat because it is 60% saturated fat, but different from animal saturated fats in that it is a medium chain triglycerides. For example, lauric acid, which is only a little longer than the health healthy fatty acids. Saturated fats are the easiest to use for energy. Medium chain only need one step to produce energy as well. See Sarah’s post on saturated fat: It can be healthy, but you can overdo it! Hunter-gatherers tended to have 13% of calories as saturated fat, which is a normal omnivorous diet without going out of your way to eat fat. Study compared oleic fatty acid fats versus coconut oil and found that some people had an increase in LDL, HDL and total cholesterol. But only some! This is due to a gene that makes some people more susceptible to fat causing cholesterol and LDL increase. This is called APOE4. These people should stick to a 20-30% fat intake for heart health. We still need fat for cell health, brain health, gut health, etc! Of course some studies of coconut oil find no change in heart health with coconut oil. The end result of these studies don’t offset all the benefits of coconut oil. It’s anti-microbial, anti-inflammatory, cell health, immune health, gut health etc. And remember: eating vegetables and seafood, Vitamin D, sleep, exercise and stress reduction are all better ways to improve heart health! And 60% of calories from fat is the threshold where we see cardiovascular health problems. Bloopers: Near and Far was a Grover sketch on Sesame Street.